The “Africa Multiple” Cluster of Excellence at the University of Bayreuth (Germany) invites scholars working in the field of African studies to apply for fellowships in the Bayreuth Aca-demy of Advanced African Studies (BA). About the Award: Funded through the Excellence Strategy of Germany’s federal and state governments since January 1, 2019, the aim of the cluster is to reconfigure African studies at the conceptual and the structural levels. The cluster is conceived as a transformative space for the systematic study of African and African diasporic ways of life, enabling new forms of inter- and trans- disciplinary cooperation. The BA was founded in 2012 as a space for engaged scholarship and debate in the study of Africa and is now part of the “Africa Multiple” cluster. In the academic year 2019-2020, the BA offers up to twenty short- and long-term fellowships. 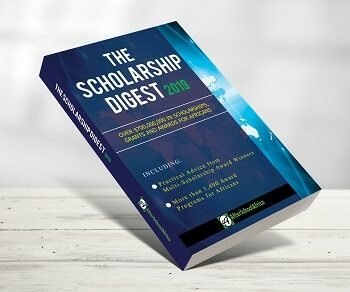 These are designed to enable scholars of African studies to pursue projects of significance to the cluster’s theoretical and thematic agenda while immersed in a vibrant community of re- searchers coming from more than fifteen academic disciplines. Fellows will be in residence for a period ranging from one to six months, during which they will carry out their research in an efficiently managed environment with excellent working conditions. contributing to existing formats such as summer schools. In addition, fellows are expected to collaborate with Bayreuth-based scholars, especially by creating synergies with one of the cluster’s six Research Sections. The latter serve as um- brellas for the cluster’s research projects and revolve around specifics set of themes. The six sections are: (a) Moralities, (b) Knowledges, (c) Mobilities, (d) Arts & Aesthetics, (e) Affilia- tions, and (f) Learning. Fellows also have the opportunity to team up with others in research groups for joint work on common research interests, and are encouraged to publish results of their work in one of the cluster’s outlets. Eligibility: Scholars with a PhD and proven track record in the study of Africa are eligible to apply. They may come from Germany or abroad, and from any discipline in the humanities and the sci- ences. Africa-based scholars are encouraged to apply. During the fellow- ship period, residence at the University of Bayreuth is mandatory. Value of Award: Fellows will be given office space and access to the excellent Africana library resources at the University of Bayreuth. In terms of remuneration, fellowships include travel subsidies and monthly stipends. For long-term fellows, the fellowship may come in form of a grant to be used for a “teaching buyout” at the fellow’s home institution. Duration of Award: The duration of the fellowship may range from one to six months between October 2019 and July 2020; the precise length and dates will be determined on the suggestion of the successful applicants. How to Apply: If you are interested in applying, please send an email to the contact address indicated below and request the information kit about the cluster’s theoretical and thematic agenda. All proposals must demonstrate the candidate’s commitment to the cluster’s theme and detail the proposed contribution to one of the cluster’s Research Sections. for a proposed fellowship duration exceeding two months, two reference letters (to be sent separately by the referees); one of the letters may come from a Bayreuth-based scholar with whom you intend to collaborate within the fellowship program. Please send all documents by e-mail as a single pdf file to the cluster’s Vice Dean of Re- search, Prof. Dr. Erdmute Alber at the following address: EXC2052@uni-bayreuth.de. The application deadline is April 30, 2019. Reference letters should go to the same email address; they are due three days later and will not be accepted beyond May 3, 2019.